Mike Gold is a retired entrepreneur providing his views on the Northwest. Photo credit: Katie Stearns. 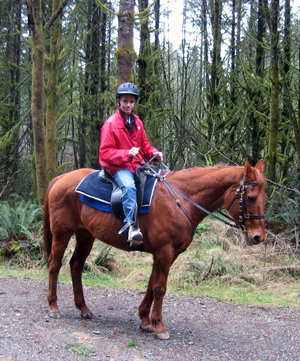 By Mike Gold, a retired entrepeneur "living the dream in the Pacific Northwest." Summer in the City, a great song. But, summer in what city? There can only be one answer, New York City. While Wikipedia’s article does not really identify the city, I argue it is NYC. The Lovin Spoonful, the group that recorded it, had its roots in Greenwich Village ergo my claim. Where else do you find your neck getting “dirty and gritty?” Just walk down any major avenue in New York with the hot summer sun beating down and you’ll have your answer. I worked in Manhattan during one summer in undergraduate school. As I recall, I dressed up in suit and tie and rode the subway to work (which was not air-conditioned in those days). I would arrive at work sopping wet with a “dirty and gritty” neck. The only pleasurable part of the subway ride to or from work was watching everyone else being hot and miserable. From time to time you could get a peek at a well-proportioned woman whose discomfort would make her blouse into a good approximation of a wet t-shirt contest. So why would anyone want to spend summer in New York City? Okay, let’s start with Coney Island, which is located at the southern end of Brooklyn, hard by the Atlantic Ocean. First, ride the subway to Coney Island. Often good for a few laughs. Next, Coney Island has a very long and wide beach, complete with a boardwalk. Unlike the Pacific Northwest, you can actually swim in the Atlantic Ocean in the summer without a wetsuit. Once there, you have Steeplechase Park, the funny place. Home of the famous Parachute Jump, and the Cyclone (at one time, the worlds highest and scariest wooden roller coaster). Much of the old Steeplechase Park was made over into a large low income housing project, prominently featured in the great movie: “He Got Game” starring the former Seattle SuperSonics great Ray Allen. (as an aside, Allen played a high school basketball star attending the very real Abraham Lincoln High School – which, in fact, I attended for a year). Just next door to Steeplechase Park was Nathan's, the most famous hot dog stand in the world. Still there in its original spot (since 1916!) and home of the famous hot dog eating contest. Nathans is right on the boardwalk. Their French Fries are still unequalled. When I attended undergraduate school in Troy New York (about 130 miles from Coney Island), some of the NYC raised homesick among us would, on occasion, drive all night from school to Nathans (which was open 24 hours) for a hot dog, fries and a coke then drive back to school for class the next morning. Woody Allen included several fabulous homage(s) to Coney Island in his Academy Award winning movie, Annie Hall. Watch for the Coney Island bumper cars. A few minutes in one of those bumper cars was worth a couple of visits to your shrink. Nothing got out your aggression like that ride. Now there was a unique teen-age protocol to a visit to the “island.” Surf Avenue ran just in front of Nathans. It was a wide six-lane boulevard. If you had a “hot” car, say a 1960’s Corvette, you would start up just in front of Nathans and “lay rubber” trying to screech your tires in all four gears between Nathans and the traffic light about 100 yards to the east. The local NYPD cops eventually caught on to this impromptu drag strip and set up a radar trap just past the light. But boy did you look good sitting in your car, top down, as you got “written up.” (Ask me how I know this). By the way, Coney Island got its name from a large rat sometimes mistaken for a rabbit. There are no coneys left today (they’ve all been replaced by the human variety). Coney Island is adjacent to Brighton Beach, which is sometimes called Little Odessa as it’s now heavily populated by Russian immigrants from the real Odessa. One of the more interesting winter activities (besides Nathans) is going for a dip in the Atlantic Ocean on New Year’s Day. This Polar Bear Club could not be more appropriate for a bunch of drunken Russians. To them, winter in Coney Island is like summer in the Ukraine. Here is the last great thing about summer in NYC. The Coney Island boardwalk. We all remember the Drifters "Under the Boardwalk." Great tune. In fact, when you ventured under the actual boardwalk in summer, you would find what were affectionately called “Coney Island Whitefish” lying all over the place. I’ll leave it to you to figure out exactly what they were. (hint, Google it).